White bean dip is one of my favorite dips out there. It makes for a great base to add a variety of flavors. It’s good with vegetables, tortilla chips, or even pita chips. Or you can have something with a bit more seasoning to complement its flavor. 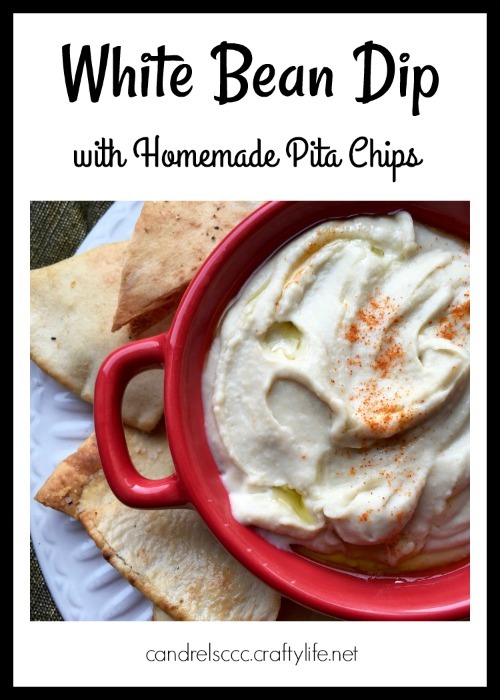 Try this white bean dip with homemade pita chips for your next snack or get-together. Lightly brush each wedge with olive oil on both sides and then place them on the baking sheet. Season the pita wedges with salt and pepper to taste before placing the baking sheet in the oven. Bake for 5 to 6 minutes and then flip each wedge over before baking for another 5 to 6 minutes, or until the pita wedges are a golden brown. Add cannellini beans, fresh garlic, lemon juice, sage leaves, and regular olive oil to a food processor or blender. Blend the ingredients until they’re smooth. Pour the dip into a bowl and salt and pepper to taste. Just before serving, sprinkle with the dash of cayenne pepper and drizzle a little high-quality extra virgin olive oil on top to give it an extra pop of flavor. Serve with the homemade pita chips or veggies.